TRUST. It seems like I just talked about how to earn it yesterday and here I am talking about it again. That should tell you it’s important, right? Let’s be honest. In this day and age, people have become very cynical. It’s getting harder and harder to earn the trust of customers. And not having that trust just won’t make for good business. It’s what gives weight to your messaging. It allows you to communicate with your audience and actually make them believe what you’re saying about your product or service. If customers don’t trust your brand, you don’t really have much of a business. That’s it. 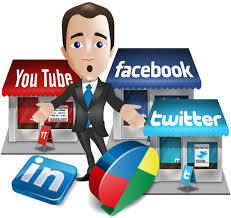 Fortunately for every online business owner, social media is here to help in establishing the trust between businesses and consumers. And if you need to know how to do that, I’ve listed 10 surefire ways to become trustworthy in social media. 1. Relinquish some of the control. Social media is controlled not by its owners or creators but its users. So if you want to build trust, be prepared to give some of the control to your customers. Let them lead conversations about the brand and don’t go overboard with editing or censoring comments. No one wants to see dated, uninteresting content. It’s the fresh and different web pages that gather the most visits. And no one really appreciates in-your-face selling. It’s the subtle ones that know how to woo customers that almost always takes the sale. So if you want customers to trust you, don’t just rely on recycling your home page’s content. Find more innovative ways to sell your brand and keep people interested. People do not trust brands that they think are hiding behind policies and procedures. And they can be particularly vicious against brands that heavily moderate their pages so only the good stuff are allowed to be posted. If you want trust, then be open and honest, even with perceived shortcomings. Develop content that appeals to your target audience without losing sight of your core message. Everyone like a good deal. And they like being rewarded for their loyalty. Of course, giving away freebies left and right isn’t really good for business, but there are ways to do this without cutting into the profits too much. 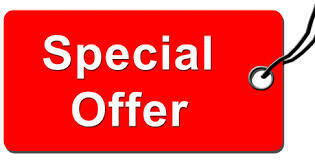 You can have “exclusive” offers for fans that shared your page, or maybe offer special downloads. Contests have a way of bringing people together and getting them to interact with the brand. Consumers follow social media accounts so they can get the information they need. So make sure that you always update your page with any news about your brand, keeping the tone “newsy” instead of making it appear like ads. Sites with more frequent activities by way of posts tend to have better overall ratings. Just don’t overdo it. Posting too many times can and will alienate fans, too, so be careful. 9. Create a sense of community. Social networks are about community, so it is no surprise that the fan pages that are growing are those where fans post comments. Facilitate conversations with your fans. Make it about them instead of about your brand. Develop your content to reflect your brand’s personality and message and use that to create your strategies. 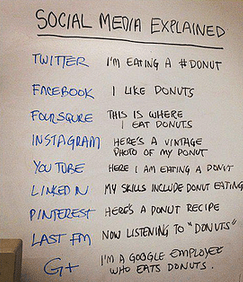 Social media is huge. And it’s not going to go away anytime soon. It’s to your best advantage to have these sites trust your brand. And the above tips should help you do just that. No Replies to "10 Surefire Ways To Become Social Media Trustworthy"